08.16 BST. Exactly one week since GBRow 2013 began at Tower Bridge in London, only two boats are still in the running for prizes. The Islanders are currently on their sea anchor, 53 miles west of Bude. The four-man crew led by Josh Taylor are resting and waiting for the wind to change direction. At the moment they are experiencing head winds that will make rowing difficult. While they are waiting, Gavin Sheehan is able to recover from a back strain he received rowing in extremely rough seas yesterday. The wind is due to change to southerly on Monday, which help them through the Irish Sea on the journey north. And the wind is favourable now for second-place Savoir Faire. 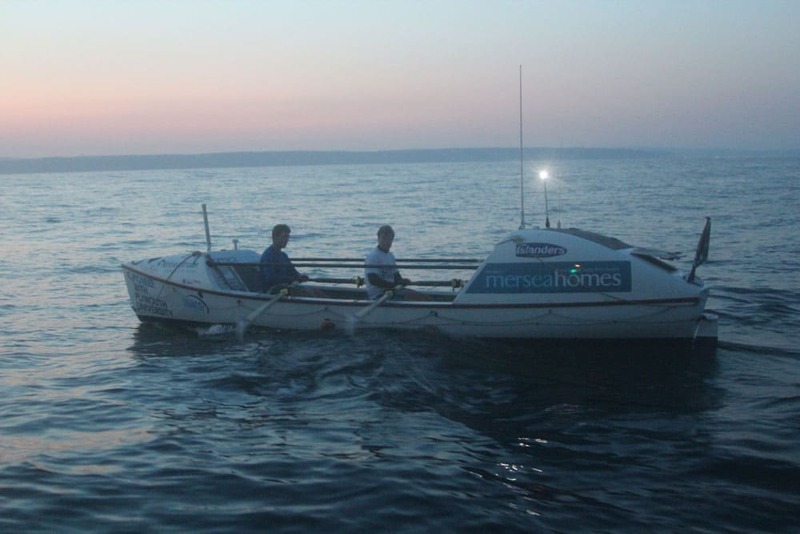 The pair, Jason McKinlay and Josh Tarr, are waiting just off the Lizard for the tidal slighshot that will help catapult them around Land’s End and into the Celtic Sea. Will they get there in time for the wind change? 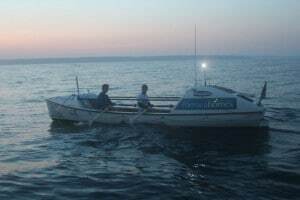 Savoir Faire is in sight of Pure Gym, who are carrying on with their 2,000 mile journey around Britain’s mainland, despite being eliminated from the race prizes because they took assistance from the RNLI after their boat’s electrics failed off the Devon coast two days ago.